The new Caribbean 2700 was released at the Sydney International Boat show. Available in both open sports runabout and flybridge configurations, the Caribbean 2700 is a boat built to suite all needs. 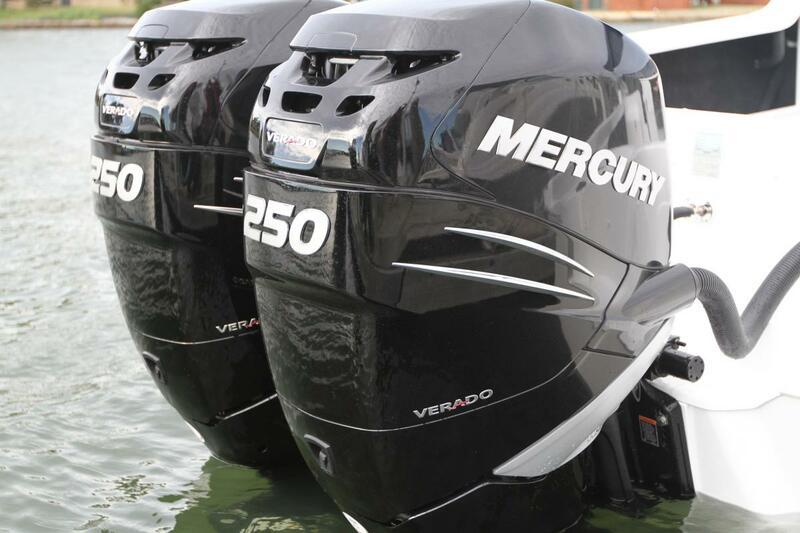 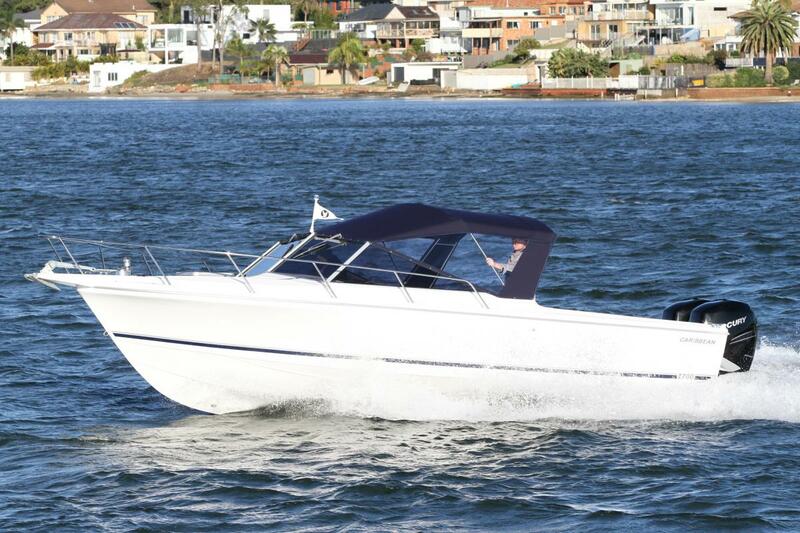 The open sports runabout Caribbean 2700 that was on display at the Sydney boat show has been fitted with twin 250hp Verado outboards that give the boat a top speed of well over 40 knots. 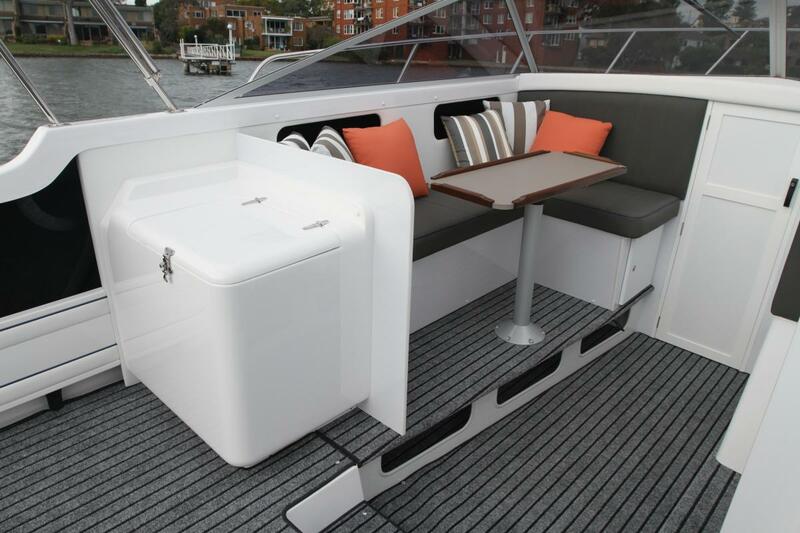 With the L-shape lounge and table fitted to the port side, fold away rear lounge against the transom and a large helm seat the Caribbean 2700 has enough room and seating for the whole family and friends. 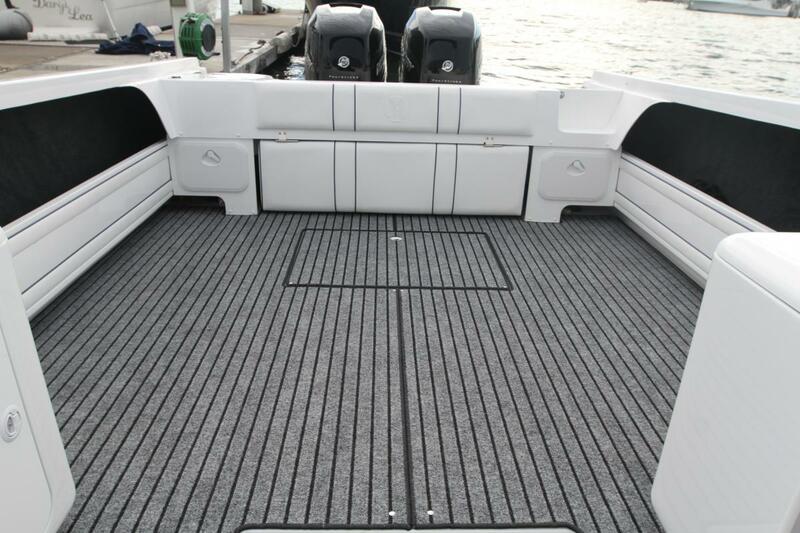 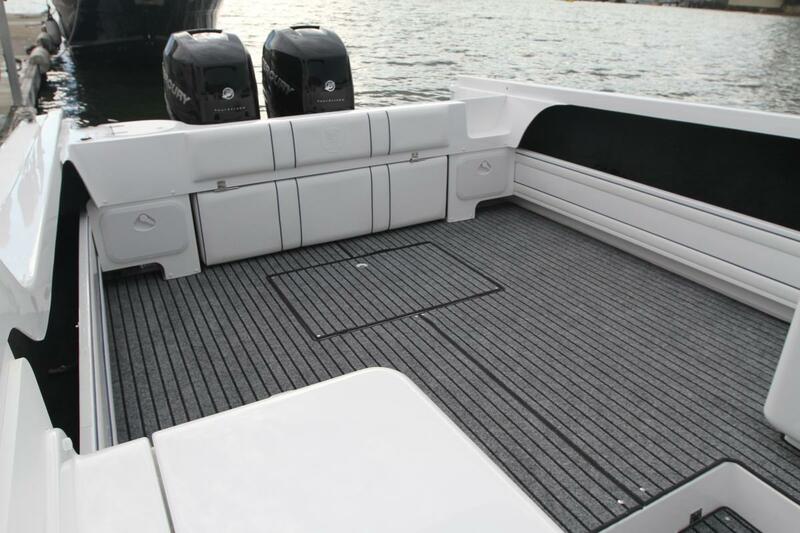 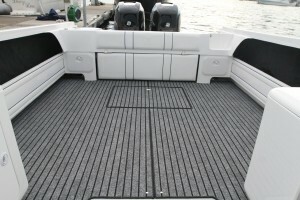 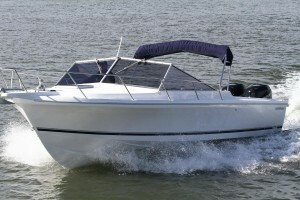 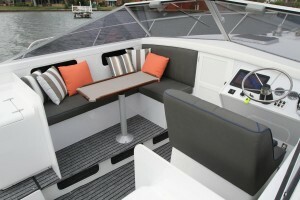 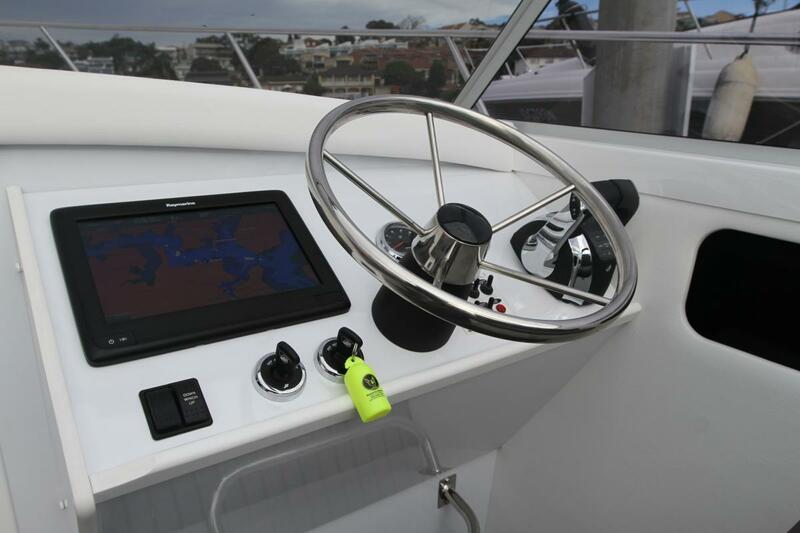 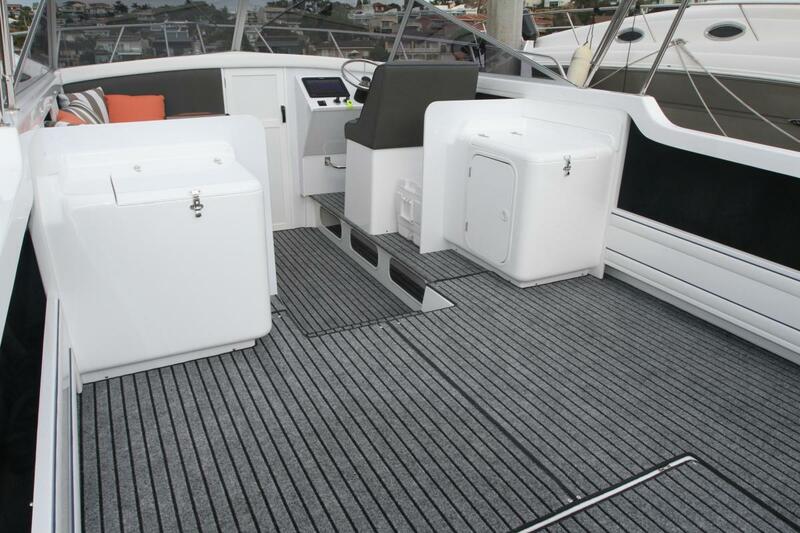 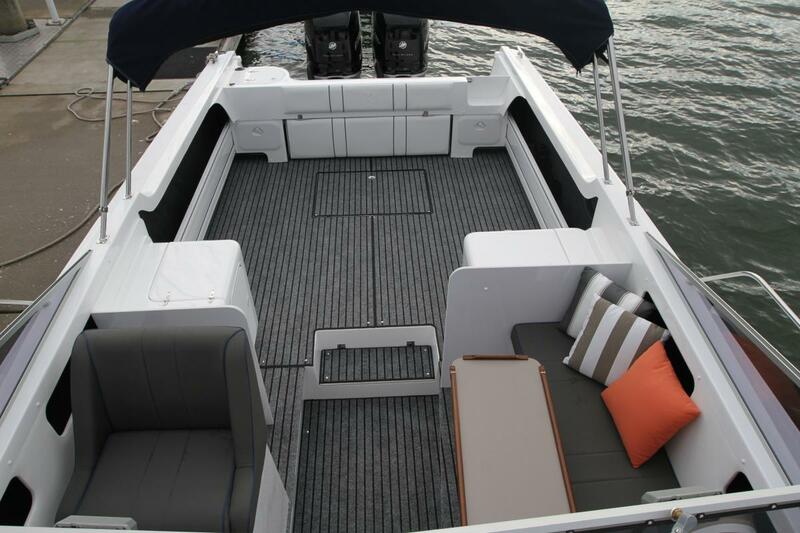 Some of the other features and options fitted to this boat include bimini top with side clears, rear cockpit storm cover, outdoor carpets, Raymarine A127 Sounder/chart plotter and GME VHF radio. 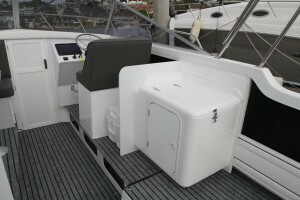 There is also a moulded ice box, moulded sink unit and another ice box situated under the helm seat. 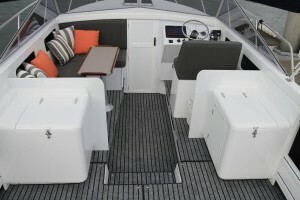 The twin out-board transom of the Caribbean 2700 takes place of the stern drive power plants that use to power the Caribbean 27. This gives the 2700 an open and uncluttered cockpit with no engine box as in the previous model. 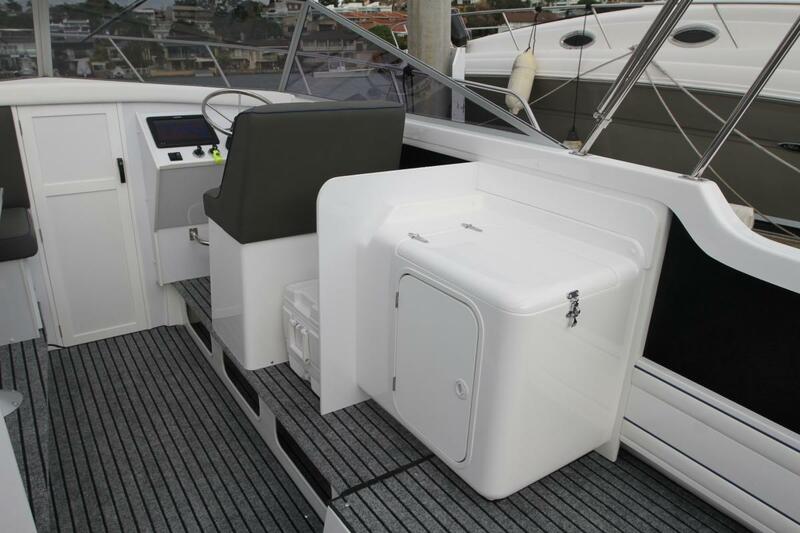 As well as the addition of the outboard-well the Caribbean 2700 now has a built in bait tank and transom door, all this adds up to a friendly to use, versatile open layout that is the ideal harbour day boat or offshore fisher. 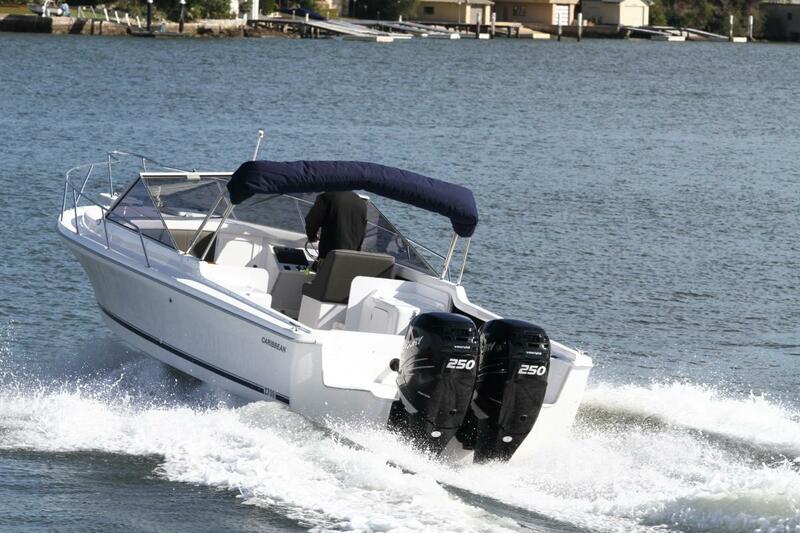 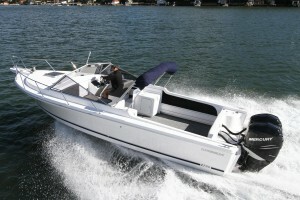 Price wise the Caribbean 2700 is miles in front of its competitors and is almost half the cost of some imported models. This boat is a winner in all aspects, from its pedigree blue water hull, timeless lines and of course the knowledge and expertise that comes from over 50 years of boat building experience at International Marine. 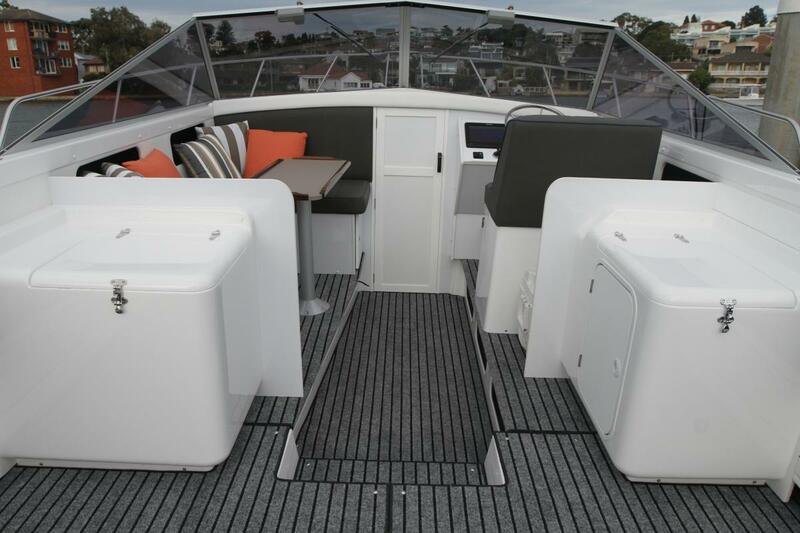 For more information or to view the Caribbean 2700 open sports contact Sylvania Marina, Australia's largest and longest serving Caribbean dealer.